To bring Grampian Housing Association’s year of 40th anniversary celebrations to a rewarding end, the organisation has once again achieved Investors in People (IIP) Silver Accreditation. This was the association’s first assessment against the latest IIP framework which sets a new high standard. Grampian Housing Association has been recognised as an Investor in People for 15 years and was first awarded the Silver Accreditation in 2013. “We have always acknowledged the importance of staff training and reap the benefits of our significant investment in learning and development, particularly in empowering staff to be innovative, take on new roles and embrace change. “Grampian Housing Association strives to be an employer of choice and values its committed workforce. Long service awards have been presented to 56 staff since introducing the scheme last year, representing a combined total of 715 years’ continuous service. Investors in People is the most successful framework for business improvement through people in the UK, and Grampian Housing Association is part of an exclusive group of UK employers eligible to use the sought-after logo and enjoy its benefits. Grampian said that the award represents a true commitment to employees and demonstrates a solid foundation of good practice which remains challenging and aspirational for many organisations. With over 100 staff and three offices, Grampian Housing Association is the largest housing association based in the North East of Scotland. The association provides a range of services to over 3,500 households, including housing, estate and property management as well as money advice and housing support. 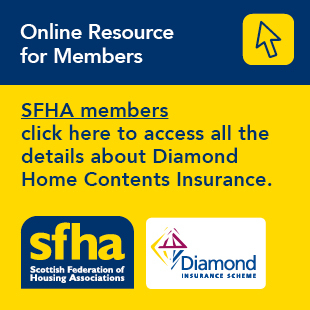 In response to increasing demand for affordable homes for working families, Grampian Housing Association is one of a number of social landlords promoting Build to Rebuild, a housing manifesto for the North East. Through this document, the next Scottish Government is being strongly urged to commit more investment for new affordable housing in the region in recognition that economic growth is highly dependent on this provision. Grampian said additional funding would complement the association’s own development programme of 200 new build homes over the next five years. Pictured: Grampian Housing Association staff.